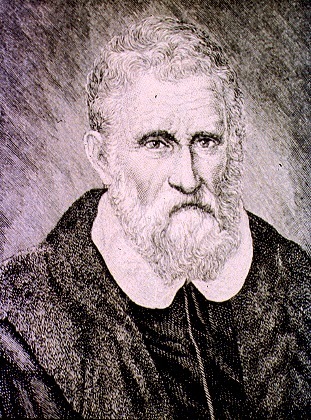 We have looked previously at Marco Polo’s writing, which shows emphatically that he did not bring pasta from China to Italy. We have looked too at two twentieth century sources that suggest that he did: an advertising campaign and a film. But how old is the Marco Polo myth? There follows an extract from one of the first Italian cook books in English by Dorothy Daly (1900) who published with Spring in the UK. The following extraordinary passage comes from the Macaroni Journal, October 1929. It is the first recorded instance of the Seaman Spaghetti legend. For Marco Polo’s original follow this link, for a later cinematic example follow this link. The original Macaroni Journal article is also available. Many, many years ago, when the peoples of the old world were recovering from the staggering economic losses occasioned by the Crusades, a great interest in exploration demanded the attention of everyone. That was natural for the knights and nobles who had traveled far afield to wrest the holy land from the unbeliever were an adventurous lot, and peacetime pursuits no longer satisfied their craving for danger, new hazards and fame. 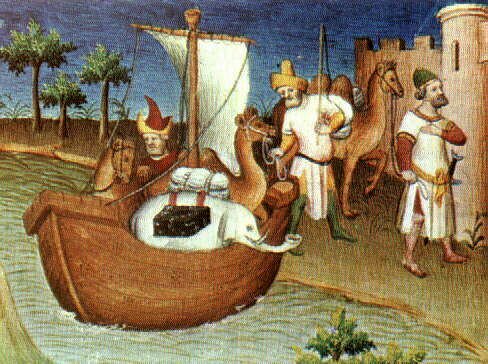 The 7th and last crusade terminates in 1270 A.D. and it was just about time that the Venetian, Marco Polo, greatest of medieval travelers, was carrying on his exploration in far distant lands. For 17 years he visited and studied the kingdoms of Asia and opened up to accurate knowledge not only the region of the central Asiatic continent but also the disclosure of the existence of Japan, which he called Zipangu. Legend has it that one day while cruising near the coast of Cathay (China) he was informed by one of his men that the ship’s supply of water was running dangerously low, and would require immediate replenishment. Accordingly he steered his ship as close to the shore as safety would permit, and sent several of his men off in a small boat in quest of fresh water. One of the sailors in the party was a Venetian named Spaghetti, and it is around this man that the legend centers. When the small boat reached the beach the 3 or 4 sailors comprising the party separated, each striking out in a different direction. They knew there would be fresh water close by, but of course did not know its exact location. Spaghetti in his search, soon came to a little patch of huts. He realised that water must be close but before advancing into the village his attention was drawn to a native man and woman working over a crude mixing bowl. The woman appeared to be mixing a dough of some kind, particles of which had overflowed the mixing bowl and extended to the ground. The warm, dry air characteristic of the country, had in a short time hardened these slender strings of dough, and had made them extremely brittle. Spaghetti observed the ingredients used, the simple method of mixing, and it immediately occurred to him that a dry food of this kind would be a welcome addition to their ship’s menu. His curiosity prompted him to approach the couple and make known his wants as best he could. Through signs and gestures he managed to obtain a quantity of the grains used in making this strange dough, also a batch of the ready mixed dough and several strings which had dried. After relating his experience, upon returning to the ship, Spaghetti ‘worked’ the entire quantity of dough into long slender ribbons. As they dried he broke them into shorter and more convenient lengths. The problem of preparing the food had not been given much thought and it was one which would have to be experimented upon. The sticks were not palatable if eaten dry, and when cooked in fresh water were not much better. Thereupon Spaghetti conceived the idea of boiling strips in sea water, which, as every one knows, is intensely salt [sic]. This method seemed to produce the best result, and to bring out the flavour of the food. Before returning to Venice Spaghetti learned much of this new and appetising food. He discovered its energy providing qualities, its ability to remain fresh [? copy not clear] and wholesome for long periods to time and noted the acclaim with which it was received by his shipmates and other Europeans to whom he introduced it. Upon Spaghetti’s arrival home the popularity of this new delicacy spread among the villagers and before long a similar food made of home grown wheat was to be found on every table. In Gragnano, where excellent spring water is abundant, the manufacturers of spaghetti (for such the food is named) assumed large proportions. Neapolitan town particularly famous for its pasta. Its main street was set out in such a way to catch the sea breezes that would then dry the local spaghetti makers produce, hanging out before their stalls. Thanks to Gabriella Stranieri of the National Pasta Association for digging out a copy of this article. 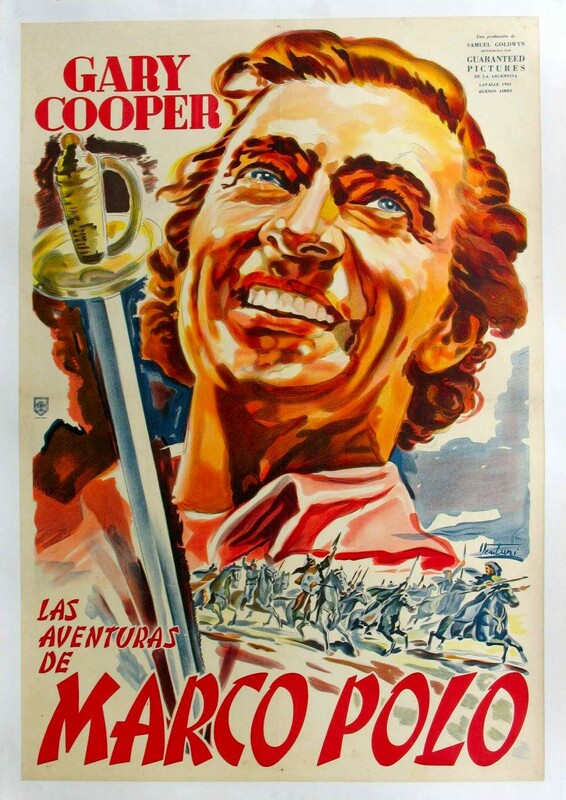 The Adventures of Marco Polo was a 1938 Cary Grant vehicle put out by the Sam Goldwyn Company. 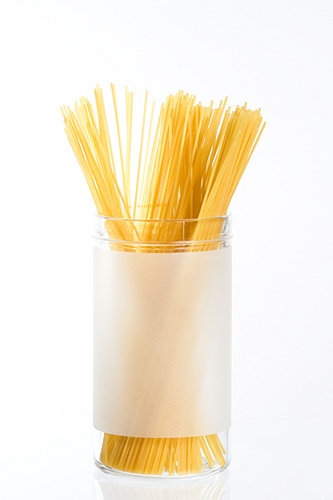 Notable in pasta myth is the spaghetti eating scene. Marco Polo and his idiot sidekick, Binguccio, stumble on a Chinese family interested in Christianity who dole out spaghetti to the hungry travellers. Marco Polo: ‘You then come to another kingdom which is called Fansur. The people are idolaters, and also call themselves subjects of the Great Khan; and understand, they are still on the same island that I have been telling you of. In this kingdom of Fansur grows the best Camphor in the world called Canfora Fansuri. It is so fine that it sells for its weight in fine gold. The people have no wheat, but have rice which they eat with milk and flesh… And I will tell you another great marvel. They have a kind of trees that produce flour, and excellent flour it is for food. These trees are very tall and thick, but have a very thin bark, and inside the bark they are crammed with flour. They use cleaned and ground flour, and make it into lasagna and several pasta dishes of which the said Marco Polo ate several times. He brought some back to Venice, and it is like barley bread, with the same flavour’. A rare flavouring and ingredient in medicine. The breadfruit tree (Artocarpus altilis) or perhaps the sago tree (Metroxylon laevis)? These last two sentences are not to be found in early manuscripts of Marco Polo’s travels. Rather they were first included in the first printed edition at the end of the sixteenth century.